Had a great time at the Grand Canyon. Thank You Jet Vacation for putting it all together for us. I just wanted to say a Big "Mahalo!" to you for all the work you did on our recent field trip to Pearl Harbor. You are so organized and professional, (even having separate envelopes for the driver's tips!). Everything went SO smoothly because you had planned it so well. At the airport, both in Kona and Honolulu, the Hawaiian Airlines folks had all our tickets ready, they checked us in as a group and we did not have to stand n line, and they didn't charge us for our luggage! The Miramar hotel is a fantastic hotel with a super location right in the heart of Waikiki. I have worked with many different travel agents over the years and you are - by far - the best ever. Gloria Juan was so right when she told me, "Use Shawn at Jet Travel - she's awesome!" Now that I've found you I will continue to work with you. Next year I'd like to take a group of students to Washington D.C. I'll be in touch with you about that in the Fall. I always call Shawn at Jet Vacation first when I plan to travel. She goes the extra mile to make sure I get the best flight for the best price and if her sources are not cheaper she will tell me where to go. Although I prefer to give her the business, I appreciate that she looks out for my best interests even when it may cost her a sale in the moment. She has also saved me an enormous amount of time looking for flights or when planning my trips. Recently, she saved my husband nearly $100 on a trip to Oahu from the Big Island! Thank you Shawn! Thanks for recommending and setting us up on the Ride the Rim Tour. It was fun to be on an ATV again. 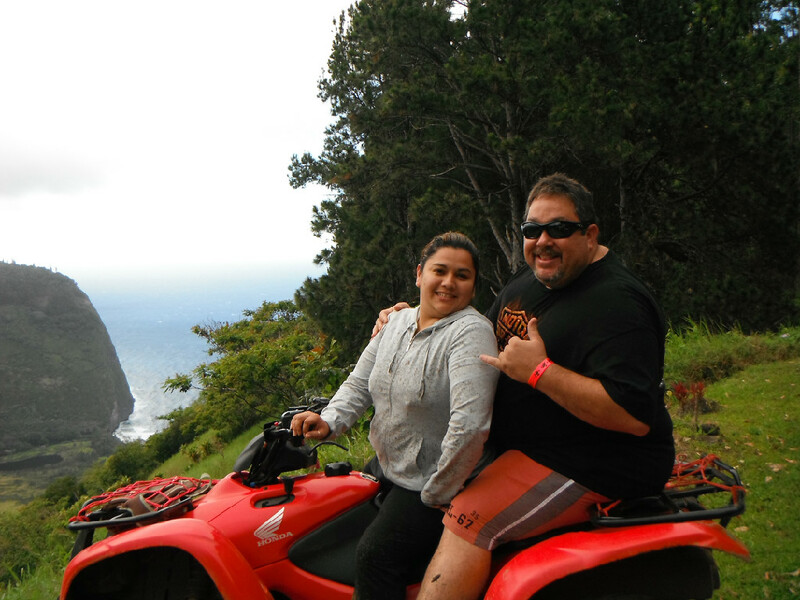 I'd highly recommend this tour for others who want to ride an ATV, swim at a waterfall and learn about the Waipio Valley. Shawn at Jet Vacations has been invaluable to me for both business and personal travel. She's quick and efficient about finding flight information as well as car rentals and accommodations. She's helped my mainland family find the best deal when they come to visit and helped me with inter-island, mainland, and even international flights. If she can't save you money, she'll tell which website will give you the beat deal!! I'm a very savvy 'flight finder' and I don't even bother doing web searches anymore. What takes me 2hrs to research, she can do in 10minutes. Shawn is honest, personable, and goes out of her way to save you money! Seriously people, don't waste your time and money - get smart and just call Jet Vacations. Living on Oahu, I was wondering how it would be using a travel agent in Kona. I must say, it was the best travel decision I have ever made! I worked with Shawn and she was so friendly and so knowledgeable. We saved up 5 years for this family trip to Disney World in Florida and she really did give us "Magical Memories"! She said she was a certified Disney Expert and it showed. All of her secret tips worked and the restaurants she recommended was soooooo ono! The hotels (we stayed at two) she recommended was unbelievable amazing! Can you imagine animals right off your balcony? crazy right? Every morning the kids would check to see which animals were outside. That was an experience we would never get anywhere else in the world. Overall, I couldn't believe how smooth everything went. Shawn made sure we had all the tickets, made all the reservations for the airfare, hotels, transportation to/from the airport, transportation to/from Universal Studios, restaurants (we changed quite a bit). She also recommended two shows and it was really good - we all had a great time. Thank you Jet Vacation and especially - Thank you, Shawn! You made our special family trip so very MAGICAL!